The idea of an aura or energy force that surrounds living things has been around for centuries. In modern times humans have discovered the combination of living objects and electricity can create an unseen world of shadows and violet light. This is an aura which can even be captured on film. 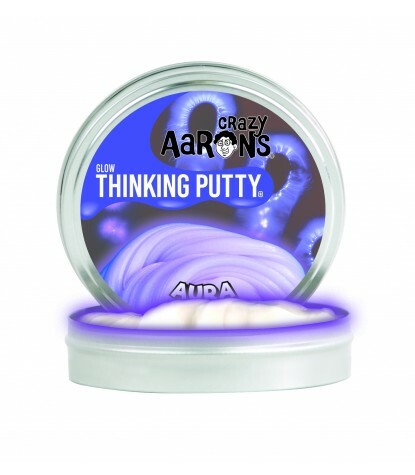 Connect to your own invisible energy with Aura Thinking Putty. 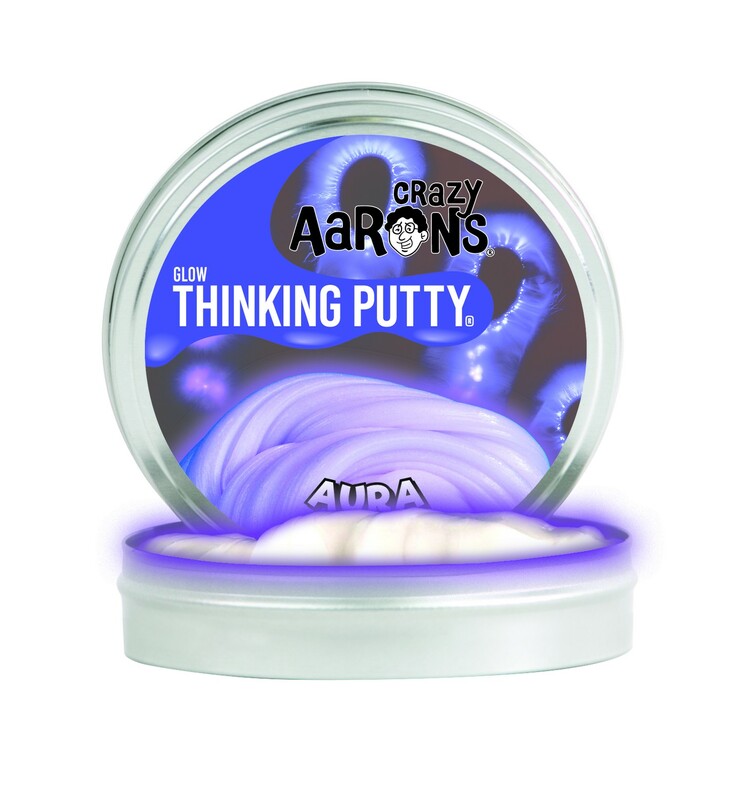 White by day, it glows a mystical purple at night to help tap into your creative potential.